An MSP business is in a unique position to establish and utilize the latest outreach techniques. Customer relationship management (CRM) software can organize and categorize prospective or existing clientele based on whatever parameters you require. CRM of the right kind can additionally be predictive. If you’re not using CRM, you’re likely dropping the ball pertaining to leads, prospects, and clients who would otherwise upgrade if presented with the option. CRM software and its proper utilization can trim a lot of operational fat while simultaneously making your sellers more effective. You want to know which outreach techniques are effective, which aren’t, and which could stand to be improved. Determine what outreach techniques you’re using now and whether there are others to incorporate that you haven’t put into practice. Ensure techniques that don’t work are either swiftly excised or gradually phased out, and those which are successful receive proper emphasis. Email outreach can be very effective, as can content marketing, YouTube videos, physical mail-outs, and infographics. Convention attendance is a good tactic to interface with peers and clients in your demographic, and the list goes on. Figure out what works for you, what doesn’t, and what to change. A lot of times, leads have only contacted a handful of times before they are abandoned. You want to ensure you get in touch with them at least five times. Certainly, not all leads will be interested, and you don’t want to annoy them. However, you don’t want to give up too soon, either. There’s a balance, and according to many marketing professionals, “five” is the perfect number. Keep your eye out for new techniques, but don’t just put them into practice without doing your homework. Work with professionals to determine which outreach solutions make the most sense, and which are ultimately a waste of time. Sometimes an outreach technique is good but requires careful execution. Incorporate new outreach solutions but inform them. 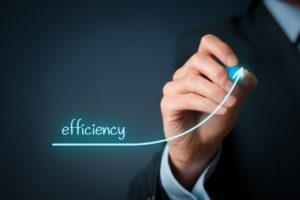 Your MSP business will likely operate at expanded efficiency if you apply new techniques properly, contact leads at least five times, meticulously organize outreach techniques, and incorporate CRM protocols where it makes sense to.